Have you ever had a pair of shoes ruin your vacation? Sure, those flats looked so cute in the store but after a couple miles of walking on Italian cobblestone in Florence, your love affair with those deceptively adorable shoes is officially over. As a frequent traveler, I am always in pursuit of perfecting my travel wardrobe. I like to keep packing light without sacrificing style. Shoes can often be my nemesis. I don’t want to pack several pairs of shoes but I also don’t want to wear my hiking shoes to dinner or become a blistered, hobbling mess while touring all day in my less-than-supportive wedges. 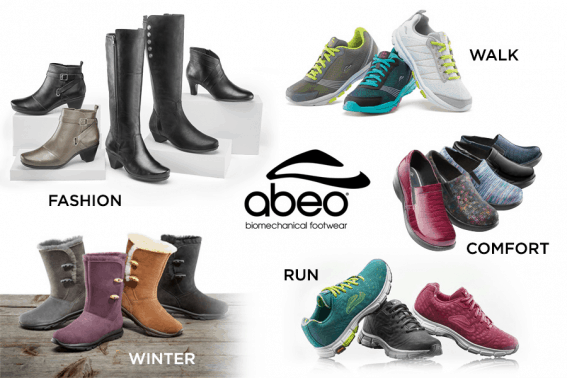 Recently, I headed to the Walking Company to see if their line of ABEO Biomechanical Footwear could offer a perfect travel solution. 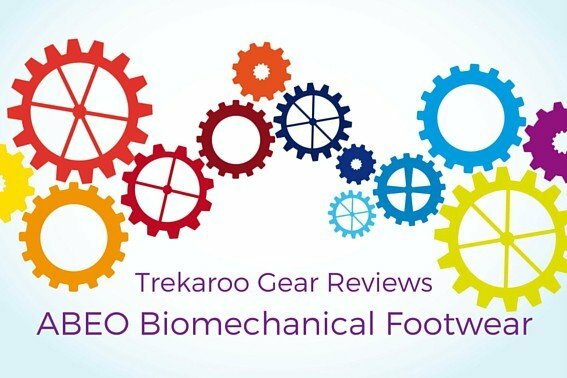 Read on for our ABEO Biomechanical Footwear Review! I will be honest, up until my experience with Walking Company, I never really gave much thought to my feet. I have always been most comfortable in flip flops, a staple of my Southern California wardrobe. I never really understood why people preferred to wear sneakers at theme parks? Didn’t their feet hurt from being stuck in those things all day? Within the first five minutes of my Walking Company visit, I was shown the light. The first part of the Walking Company experience is getting your foot digitally analyzed by their 3-D fit technology computer which scans your feet in mere seconds and tells you what sort of arch and pressure points you have on your feet. I have high arches! Who knew? After selecting a pair of sneakers to try on, the Walking Company staff placed the proper arch support in my shoe and the angels started singing. Hallelujah! I finally saw what all the fuss was about. Every shoe in the ABEO line is built with comfort and support in mind. Whether you are looking for a pair of boots, cute heels, practical sandals or versatile flats, comfort does not need to be sacrificed. There are literally dozens of options! My personal mission was to find a shoe that I could wear both day and night. I wanted a flat that would look as cute with jeans as it would with a skirt or dress. Something that would live up to cobblestone and long hours inside museums. The big winner? Tamra. Isn’t she pretty? This little beauty is by far the most comfortable flat I have ever worn. 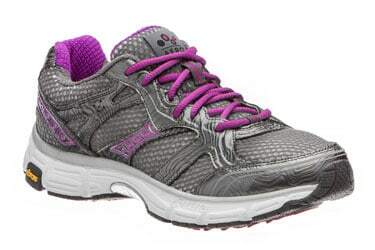 I love that it is a shoe that provides great support without looking like a shoe that provides great support. Her stylish ballerina style appeals to my femininity while her sturdy soles prevent me from slipping and sliding on wet cobbles. She works for conferences, dinner dates, and walking tours. Tip: The Walking Company sells an entire line of bamboo socks which are breathable, comfortable, and dry quickly. These are an especially good fit for trips when luggage is limited and sink washing is necessary. 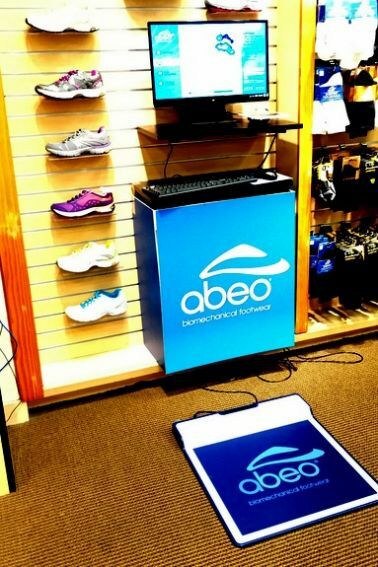 The 3D digital mapping system truly allows for a custom shoe fit. The staff is tremendous. They were so patient as I tried on shoe after shoe, trying to find a perfect fit for my feet. And it wasn’t just me who received the star treatment. I watched customer after customer receive the same respect, attention, and care. I was impressed with how many different styles were offered. There is a wide range of options for both men and women. The shoe are very well made and breathable. The arch supports are included in the price of the shoes. While I thought several of the styles in the ABEO line were quite cute, there were still a considerable chunk that had an “old lady in orthopedic shoes” kind of feel. These shoes aren’t cheap. Prices are typically in the $100 range. That being said, you get what you pay for, and then some. I consider these shoes investments in my overall comfort. They don’t carry hiking shoes! How is this possible? I would LOVE if they would start a line of hiking shoes (hint, hint). You have to purchase both shoes in the same size. Yes, I know this is a standard practice in all shoe stores but given the number of people who have two different size feet, I ask why? You can buy a different size top and bottom for bathing suits, why not a different size for your left and right foot? I would be THRILLED if ABEO set a new industry standard. I have to say, I have become an ABEO convert. I am still not ready to give up my Reef flip flops but I am happy to have some other comfortable options to add to my travel wardrobe. 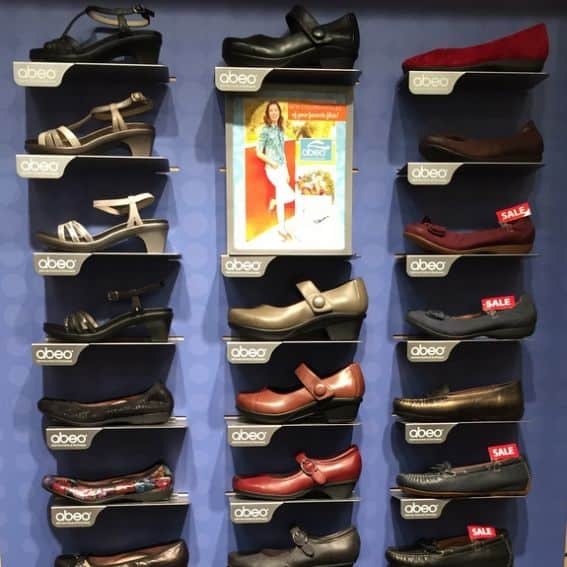 I think this line of shoes is a great option for travelers. I would love to see the line continue to expand, especially in the hiking shoe field, where comfort is a particularly important priority. 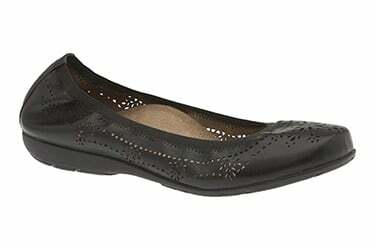 Disclosure: I received two pairs of shoes so that I could write an unbiased review on behalf of Trekaroo. All opinions are my own. Greatly disappointed in Abeo. Bought a pair of their “Lite” Spire athletic shoes at the Walking Company a year ago and wore them lightly late last summer and for a few months this summer. The webbing on the outer edge of both shoes has started to rip away from the sole and neither the Walking Company nor Abeo will do anything about it. First and last Abeos I ever buy. Can someone tell me why ABEO shoes run so huge? I am a 5.5 to a 6 in womens and I can only wear their sandals cause all close toed shoes are giant. Also, what is up with velcro on $160 pair of shoes. I love the support that I get from the shoes but the size and the velcro keeps me from purchasing them.